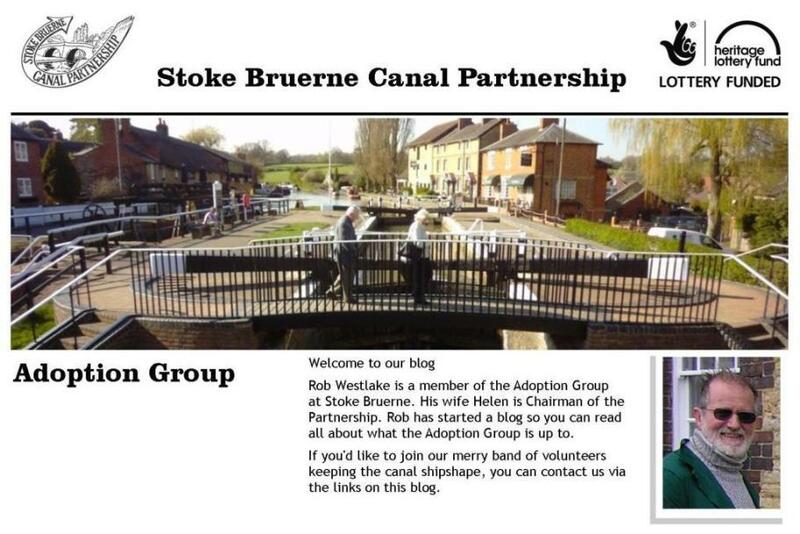 Stoke Bruerne Canal Partnership: A 'spruce-up' day just a few days before the Stoke Bruerne Family Festival. 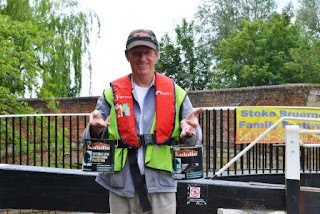 A 'spruce-up' day just a few days before the Stoke Bruerne Family Festival. Top lock gate beams repainted. white - special thanks to Miriam (CRT Volunteer co-coordinator). Removal of overhanging vegetation and nettles from the long pound and also the towpath up to the tunnel and along the woodland walk. Litter picked throughout the area. During the course of the day the Stable building - just south of the tunnel was inspected and suggestions made about it's future possible use. Also, the northern end of the Woodland walk path was also inspected, after a report of an accident the previous weekend. A possible extension along the former plateway track bed might remove the need for the present steeply sloping link out onto the boathorse road.